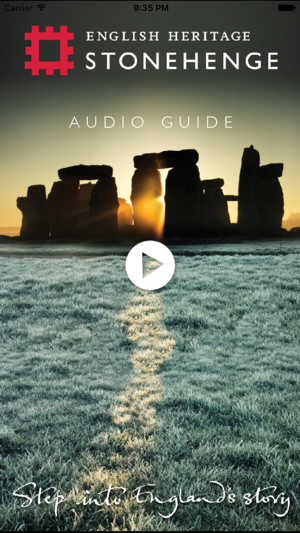 The free audio tour for use when visiting stonehenge. 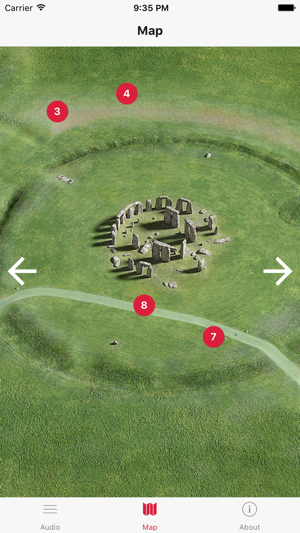 Avoid any queues for audio guides onsite and use your own device and headphones to explore the most famous prehistoric monument in the world and the ancient landscape that surrounds it. Great for a freebie but could be improved. 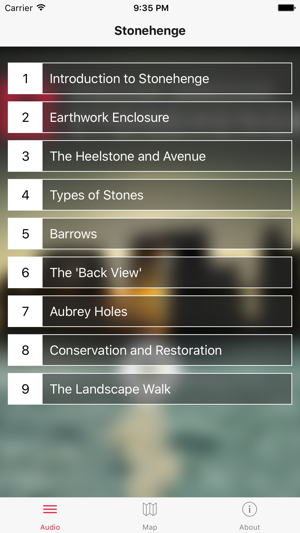 Used the app on a recent visit to the stones and whilst the content was great it was quite irritating that the audio didn’t continue when swapping back and forward from the camera app - an action that I imagine will be a fairly commonplace one given how many people use their phones as their main camera these days. Also, pressing the play/pause button on the Apple earbuds didn’t play/pause the audio, rather it started playing music from the phone’s library instead. Other than these little gripes it’s pretty good, the audio production is of a high quality and the information contained most comprehensive. Fix the multi-tasking and it’ll be a very good app indeed. 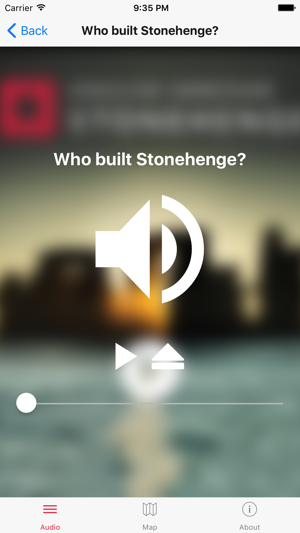 This is an audio guide, it is not immersive virtual reality, it is not interactive artificial intelligence, it does not claim to offer integration with other apps, offer selfie opportunities or seamlessly switch into social media content prep. This application has no bells and whistles it cannot provide real time advice via predictive behavioural analysis algorithms, it is not GPS enabled, BUT it is an AUDIO GUIDE. 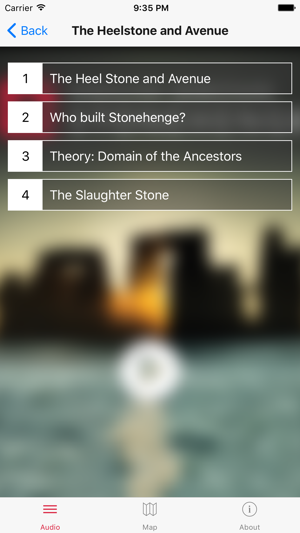 It provides guidebook information in audio. This app works fine, no issues. Took a while to download on poor mobile signal but then no issues. The warning about the app needing to be updated can just be ignored and the whole thing works as it should. Some really interesting stories and facts within the different sections.